US network AT&T, the exclusive carrier of the iPhone 3GS, has buckled under consumer pressure and dropped the price of upgrading to Apple's latest handset. In a letter to its customers (likely angrily seen by users in other countries too) it will now offer those that queued up eagerly to get the iPhone 3G the chance to simply break their contract and buy an iPhone 3GS for as little as $199 (£120). However, this is only if users are paying over $99 (£60) per month on their 18-month deals, which is vaguely similar to the 'early upgrade' scheme offered by O2. Basically, those that bought the iPhone 3G between July and September 2008, and have paid over the pre-requisite amount, would be eligible for an upgrade in a few weeks. But AT&T has said they can move that forward to 19 June if they want to, as the network crumbles under Apple fanboy-ism. 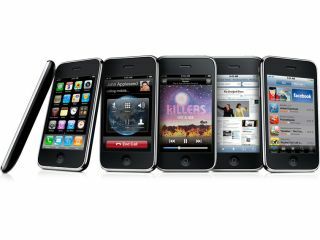 However, O2 will let you upgrade six months early, should you be paying over £75 per month, with a sliding scale depending on how much you pay before you can break to get the iPhone 3GS. This means that current iPhone users, even if they pay mega-bucks per day, will still have to pay a certain amount to break their current contract before they can pick up a phone for £87.11 on an 18-month contract. Essentially, the fact that Apple is releasing new phones at such a rate and enjoys 'special status' from some consumers has meant a lot of ire at the networks, so check back tomorrow morning when we bring you all the news from the queues to see what the public really thinks.